The international community should not lose focus on assisting Afghans in rebuilding their country. To date, 2015 has sadly been dominated by conflicts and suffering. Early in the year, violence in Gaza and Ukraine brought images of destruction to our screens and shook the foundations of international relations and stability. The violent threat posed by Daesh (known as ISIS), Boko Haram (allied to Daesh), and other terrorist groups has destabilized large parts of Eurasia and Africa. Civil wars in Libya and Yemen have cast a dark shadow over the lives and hopes of their citizens and risk widening the conflicts. The rise of violence in forms of extremism and terrorism represents the greatest threat to global peace and stability. The split of previous national regimes in Libya and Iraq has undermined the entire situation in the Middle East. Syria seems to be next in this paradigm. Without a determined response, there is a real possibility that these countries will be permanently torn apart and Daesh will become a platform for exporting violence, extremism and instability across the entire region and beyond. As the international community battles against this danger, Afghanistan serves as a sobering reminder of what happens if you ignore the threat. It is also why, despite all the challenges elsewhere, the world should combine its efforts in the political, social and cultural realms to prevent a recurrence of old errors. Afghanistan today, thanks to the sacrifices of its people and the support of the international community, is unrecognizable from its past under the Taliban. But despite real achievements in recent years and political progress since the presidential elections last year, the country continues to be plagued by threats such as illegal drug production, trans-boundary crimes, and internal insurgency. Moreover, the rise of Daesh and terrorist attacks by the Taliban along with economic hardship tear at the fabric of the nation. Afghanistan also remains one of the poorest countries in the world, with depressingly high levels of child mortality and illiteracy. We all share a common interesting in building the capacity of the Afghan statehood, strengthening appropriate institutions, including the Afghan National Security Forces, and giving Afghans the opportunity to create a secure, stable and prosperous future. Without this commitment, there is a real risk that the country could descend again into outright chaos and that instability and violence will increasingly spill over its borders. No nation, not even Kazakhstan where extremists have failed to gain a foothold in our moderate and tolerant society, is immune from this threat. That is why it is in all our interests to work together to help Afghanistan. As part of our contribution, Kazakhstan is already stepping up direct economic and humanitarian aid to Afghanistan. This includes funding the restoration of the Talukan-Kunduz-Shirkhan-Bandar road and construction of schools and hospitals across the country. We are continuing to finance the education and training of 1,000 young Afghanis for civil professions in Kazakh colleges and Universities. Essential items like vegetable oil, warm clothes, beds, tents, bedding and dishes are being provided to the Afghan people every time a natural disaster happens. We are encouraging Kazakh businesses to enter the Afghan market, and vice versa, to promote trade and economic cooperation. Kazakhstan also intends in the near future to streamline its aid to neighbors and friends under our own official development program, provisionally labeled KazAID. Together with our regional neighbors, we are also discussing how we can do more to help rebuild Afghanistan as well as improve collective security against terrorism and the drugs trade, which has created crime and misery far beyond Afghanistan’s borders. Improving regional economic connectivity is key to this goal. Afghanistan can benefit enormously from the new opportunities presented thanks to the modern road, rail and energy links being put in place. The positive impact of this “New Silk Road” will be felt far beyond Afghanistan or Central Asia. Rich in energy and natural wealth and strategically positioned between Europe and the fast-growing economies of the east, improved connections can provide a much-needed boost to global growth. We cannot halt the powerful forces that are changing our world. But through increased cooperation with our partners in the Istanbul Process on Afghanistan, the Shanghai Cooperation Organization (SCO), the Conference on Interaction and Confidence Building Measures in Asia (CICA), Organisation of Islamic Cooperation (OIC), and the UN, they can be channeled for the benefit of all. We have also offered Almaty as a new regional base to host the UN’s efforts and disaster management facilities for the needs of Afghanistan. 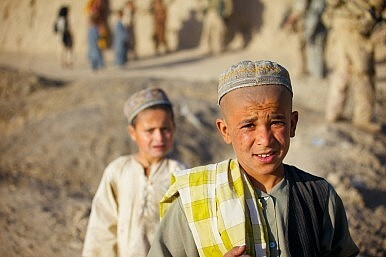 Afghanistan’s people are depending on the international community to pull together to help them. If we do not turn good intentions into positive action, the country risks again descending into chaos. We cannot fail this challenge. Timur Urazayev is Ambassador-at-Large at the Ministry of Foreign Affairs of the Republic of Kazakhstan.